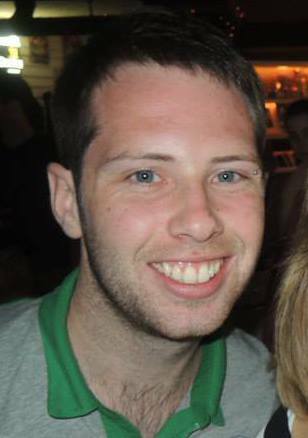 I’m an Irish freelance journalist with a major passion for sport. Bet that’s never been said before. I have an MA in Journalism from NUI Galway and a BA in New Media and English from the University of Limerick. I have read the back covers of many intellectual books, and as such feel well placed to have an opinion on everything. This superiority complex is further enforced by my winning the North Tipperary round of the Primary School’s Credit Union quiz in 2001. I can’t take all the plaudits, it was a team effort. I spent a while working with Newstalk Radio, writing sports content for the website and attending press conferences and media days without getting kicked out. I’ve written for The Irish Times on a couple of occasions on the subject of emigration. I taught English to kindergarten kids for a year in Gwangju, South Korea. While there I rekindled my love of gaelic football as a member of Busan GAA club. I also remembered that I wasn’t very good at it. I hold the record for most shots without a goal for Gwangju Inter football club. I’m strangely proud of that. Now I’m back on home soil and relieved to be able to watch sport at a reasonable hour once more. Feel free to leave comments under any article. Tell me why Arsenal can’t win a trophy, why Swansea City haven’t been as good since Lee Trundle left, and why Pepe is really a big old teddy bear in need of a hug. Feel overwhelmed by all that comment space? Tweet me @AlanKeane23 For work related queries contact me on alankeane23@gmail.com.